COLLINSVILLE, IL -The City of Collinsville will be holding a Ribbon Cutting Ceremony and Open House on Wednesday, April 17th at 10:00am, for the City’s new $20,000,000 state-of-the-art Water Treatment Plant. The new 5 million gallon per day facility, located at 9535 Collinsville Road, will replace the City’s 60 year old facility. The new facility was approved by the City Council in 2014. 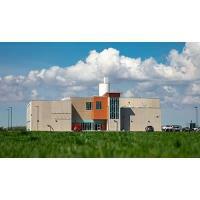 The Engineering and Design of the facility was completed by Hurst-Rosche of Hillsboro, IL. Korte & Luitjohan Contractors, Inc. from Highland, IL was awarded the construction contract in November 2016. An official ground breaking ceremony for the project was held in February 2017.